For the second time in a row Guy Verlinde was invited to host the EBC ’14 in Riga, Latvia. For two days he introduced all bands, informed the audience about the European Blues Union & all practicalities of the European Blues Challenge. 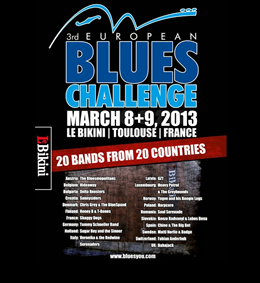 After a great performance at the EBC '12 in Berlin (DE), Guy Verlinde was asked by the European Blues Union to host the EBC '13 in Toulouse (FR). It was a great honor for him to present the two days event and make sure all bands got a proper introduction. For the second time in a row the European Blues Union organized the "European Blues Challenge". This event was held at the Kulturbrauerei in Berlin (DE) on 16 and 17 March 2012. 19 bands from 19 European countries competed to receive the title as most promising European Blues band. Previous to the "European Blues Challenge" Guy Verlinde & the Mighty Gators toured through Germany & was invited to play a showcase at the Belgian Embassy in Berlin. The band is vey proud with its 4th place out of 19 bands. 52 die-hard fans followed the band to Berlin by bus, train & plane. This was for all Guy Verlinde fans an extraordinary experience & has opened many door to the European blues scene for the band. 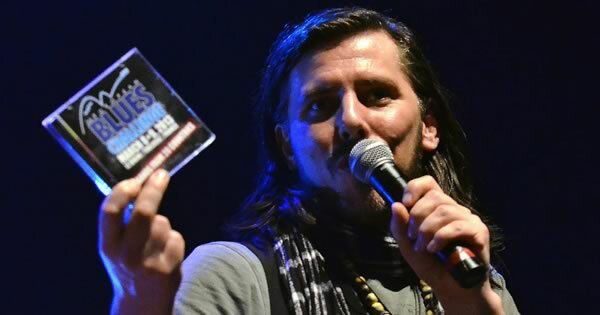 In October 2011 Guy Verlinde & the Mighty Gators won the Belgian Blues Challenge. A total of 4.674 Belgian blues lovers voted between September 20th and October 15th to select the most wanted Belgian blues band. Guy Verlinde & the Mighty Gators received 41,1 % of the votes. Which means that 1.921 people showed their preference for the Band.